Showing results for tags 'birth by sleep'. Countdown to Kingdom Hearts 3. III Days Left! (Aqua). I Will Save Her! Morning everyone! I hope y'all doing excellent especially we're getting very close to the release day! I'm here for another Countdown and this time one my favorite Keyblade master makes her appearance! Yep that's right Aqua takes the third day spot! Aqua is one of my most favorite characters in the series due to her character design, her personality, and her character arcs in Birth by Sleep and 0.2 Birth by Sleep. Saving is one of my most highlights in Kingdom Hearts 3 and I can't to play it and see how it turns out. Just three more days left! © Made by Movies798. January 26th, 2019. Countdown to Kingdom Hearts 3. XI Days Left (Terra). Hey everyone! Well another Countdown is here! 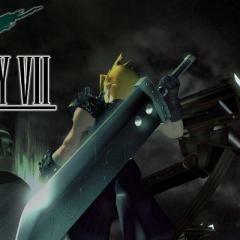 This time Terra will be taking the eleventh day spot. 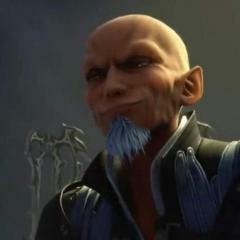 It's gonna to be very interesting Terra again after the mess Master Xehanort put him through. Will his heart be strong enough to take back his body for good this time? Well we got eleven days to find out! Countdown to Kingdom Hearts 3. 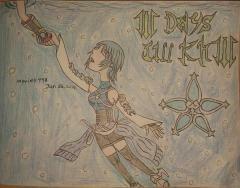 X Days Left (Ventus). Morning everyone! I hope you're doing great! Well here's another Countdown to Kingdom Hearts 3 picture, and this time it's our favorite sleeping beauty Ventus! I can't wait to see Ven again because ths dude needs to stretch his legs! Lol! 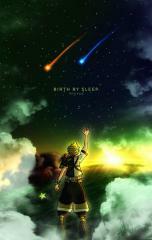 But seriously I can't wait to see how Ventus is gonna to wake up in this game. Only ten more days left to find out! 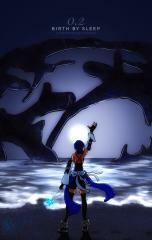 ---- 10 years ago, before the events of Kingdom Hearts 1, we follow three young warriors: Terra, Ventus, and Aqua. All follow their teachings of their mentor, Eraqus (pronounced AIR-UH-KISS) to become Keyblade Masters. Terra and Aqua take on the Mark of Mastery judged by Eraqus, as well as Master Xehanort. Suddenly, Eraqus learns that Master Xehanort disappears and was informed [by Master Yen Sid] of the rising manifestations of negativity called Unversed. Terra and Aqua were sent on a mission to investigate the mysteries of the Unversed and Master Xehanort's disappearance. Meanwhile, Ven is informed by a mysterious masked boy about Terra's upcoming fate and Ven goes after him before it's too late. All lead to a fate that effects the future events of this series. ---- Before I begin, I will dedicate a drawing on each character. The order I go is Terra, Ventus, and Aqua. From them, will only be judged by character and gameplay. 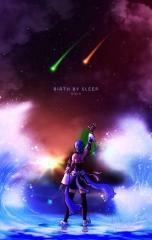 There will be 4 posters of Birth by Sleep. The last one will contain my overall thoughts on the entire game, extra content included. ---- Starting with Terra. He, out of all the characters, is the most controversial, at least with his character. If anything, I hear a lot of people really hate Terra for his....um....naiveness and gullibleness (and his...arrogance? Ignorance? Stubbornness?) to put it lightly. The best example I could think of why people hate is through HMK. Please understand, I do not hate HMK. Heck, I respect his reasons why he doesn't like Terra (not calling you out my dude just don't know anyone else that hates him more than you LOL So I hope you do not mind me using you as a reference). However, personally, I am more midground with him (Terra). While he did make stupid decisions and he was quite a dunce, but he was still a good person through any circumstances. Dare I say, he has a good heart. I will restrain from that to avoid spoilers. ****People compare him to Anakin Skywalker. Both let their heart talk instead of using their head. They have people they truly care for and are willing to fight for them. However, there was one thing Terra had that Anakin didn't: the will to stay a good person and is internally fighting back simply because someone forced upon an unfortunate fate that affects the future events of the entire series. Anakin, on the other hand, made a choice to follow his darkest desires. At a cost, lost his loved ones and his morality. **** Then there is the gameplay. Now THAT I am not a fan of. He was heavy and slow, especially from his "dodging" which are mostly dash sliding. I one time had to go through his gameplay style when fighting some secret bosses. I will tell you right now, if you want a challenge, he is right here. I had to redo SO MANY battles to get it finished. Aqua and Ventus are better candidates for secret bosses because they are faster and their dodges are broken (easily invincible from rapid attacks, which I'll get more into when I finish them). The damage he inflicts on enemies and bosses are somewhat impressive, but it lacks speed and is low on magic. That is just a type of gameplay I am never a fan of. In terms of order in story, I am glad Terra was first. Getting the worst out of the way to get to the best. So, in short, I'm actually tolerant with this character, despite his obvious flaws. I do not hate him as much as HMK, but I can understand why people like HMK do. The gameplay, however, was not that pleasant....at least through bosses honestly. So, for those who want to do a platinum trophy for BbS, good luck. [ARTIST NOTE] I was actually REALLY excited making this, as well as the others coming up this month. I want you all to keep an eye out on each of the characters posters. Each share some elements in common. It will mostly apply on Terra, Ventus, and Aqua's solo posters. I will be making 4 posters on just BbS (there is a fifth, but will be for 0.2 BbS and that will have to wait till January). Until then, keep an eye out! As for this particular poster, like I said, this makes me excited for other posters because of the backgrounds. Seriously y'all, I never thought I would have fun with backgrounds, mostly elemental. Turns out I love the sky. I love sunsets so much guys. I think they are just beautiful and colorful. Doing Terra was kinda easy, but the armor on his arm was tricky (trying to put it in the right position). I didn't plan on adding his Keybalde simply because I feel the wayfinder he's holding feels more relevant and important from the narrative (that and I just wanna get these done LOL). I mentioned there are some elements in common. I won't beat around the bush when I say this. Terra, in Latin, means "Earth". So, simply, I surrounded him with his element. The other will have their own elements. However, there is more to it than that. Keep an eye out with the other posters ^^ [also, apparently as of this post, today is director Tetsuya Nomura's birthday] ?? So, I used the Easy Modding Station for Birth By Sleep and installed the Jecht mod for Terra, but the cutscene model didn't work, but now when I try to change it it doesn't change and his face glitches out. Can anyone help? Okay, So I modded Birth By Sleep Final Mix using the BBS Easy Modding Station 2.3.1 The texture modding works great but for some reason all audio has been cut out. Does anyone know why this happened and how to fix/prevent this? 10 years ago, before the events of Kingdom Hearts 1, we follow three young warriors: Terra, Ventus, and Aqua. All follow their teachings of their mentor, Eraqus (pronounced AIR-UH-KISS) to become Keyblade Masters. Terra and Aqua take on the Mark of Mastery judged by Eraqus, as well as Master Xehanort (ZAY-UH-NORT). Suddenly, Eraqus learns that Master Xehanort disappears and was informed [by Master Yen Sid] of the rising manifestations of negativity called Unversed. Terra and Aqua were sent on a mission to investigate the mysteries of the Unversed and Master Xehanort's disappearance. Meanwhile, Ven is informed by a mysterious masked boy about Terra's upcoming fate and Ven goes after him before it's too late. All lead to a fate that effects the future events of this series. -- We now have Aqua: she is one of my all time favorite KH characters. This young lady here is quite a character. This is somewhat special because she so far my all time favorite female character. Funny enough, I normally do not have favorite female characters and I'm female myself. I have a reason for it but it is personal and I want to to just talk about this game. Point being, she is so far, genuinely, the only favorite fictional female that is a favorite. If you truly love good women who are polite, authoritative, modest, strong, brave, kind, beautiful, and is somewhat a knight, you got what's close to the perfect gal right here. Because, this is pretty much who she is. One of my favorite moments, without being too spoiled, relates to those attributes. There is a scene when Aqua comes up and holds her hand to a character like, dare I say, a gentleman (and no, I don't consider her lesbian...you can act like a gentleman and not be lesbian). There is her immediate reaction when she made a mistake for not realizing she was in front of authoritative presence -bows and apologizes for her lack of manners. She is a true warrior if I ever saw one. Her story is not the most plot twisted of the trio nor did it effect the future events (aside from the choice she made near end game). But she is special in her own way that many of us fans care for her enough in hopes she succeeds. As for gameplay, she is heavily full magic. I am normally not a solely magic-based player. However, I did find myself enjoying her gameplay because a lot of it in general is pretty satisfying. That and it feels almost as comfortable as Ventus. It is a bit difficult at first simply because it's mostly magic and not as balanced as Ven. 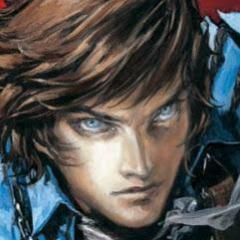 But, like any character you play, you eventually level up to where it feels comfortable enough to have the confidence to fight through some difficult bosses. This also makes me appreciate magic more in these games. While I find her ark in terms of big surprises to be lacking (until the final and secret episode), the inner struggles seemed to speak louder. Her personality and overall reputation shines bright to many fans. As much as I love Ven, Aqua is my second favorite in the entire series. [ARTIST NOTE] Alright, big reveal. Have you noticed what the three posters had in common? 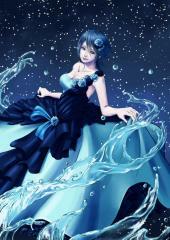 All have the 3 elements of the characters: earth, air, and water. As such, for example, Aqua is water but there is still earth and air (clouds) in the same environment. The night sky plays a symbolically major part of the story, so of course I give each of them the night sky with some sunsets. I also realized when drawing these, I drew their right hands in a unique way. 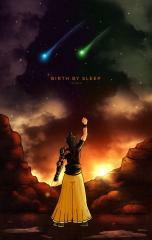 Terra hand his hand closed, Ven was loosely open, and Aqua openly spreads her fingers to the sky. I'll leave that to you for interpretation. Also, the land in the background was totally made up. However, let's just make this Neverland because it reminds me of it LOL Doing these are so much fun. I may or may not mentioned this, but normally backgrounds aren't my forte. However, doing these relating to the elements for each character, that's what make it really fun to draw. Kinda felt like a new experience. I am not done yet. I have one more poster of this particular title to show. It will contain my overall thoughts on the title itself. So stay tuned y'all! (As of this post, will post it on Sunday). First post to make here so uhhh I hope you guys like it! I couldn't find another post about this so I hope I'm not repeating a topic already discussed. And I hope I'm not stating something that was really obvious to everyone else. Also if you are not up to date on the Union Cross NA storyline then look away now to avoid spoilers. I was going through a list of all currently known Keyblade Masters in my head the other day (as you do) when I suddenly realised something that I'd never thought about before. Ventus is a Keyblade Master! Probably, anyway. How is he a Keyblade Master, do you ask? Because in Union Cross he appears as one of the new Union Leaders chosen by the Master of Masters to replace the Foretellers (who are also Keyblade Masters) after they meet their end in the Keyblade War. And when Master Ava first tells Ephemer that he has been chosen to replace her as another one of the new Union Leaders he indicates that this also means he has been made a Master. Therefore if Ephemer has become a Master then we can assume that the other new Union Leaders are also Masters, including Ven. So if Ven is a Keyblade Master then that means - assuming he is one and the same as Ven in Birth By Sleep where he appears slightly older - that the whole time he was training with Aqua and Terra and sharing their dream of becoming Keyblade Masters, he was already a Keyblade Master but just didn't know it. I think this is a pretty interesting realisation when you consider that he is not only younger than Terra and Aqua by a few years (in appearance anyway as we don't actually know how old he is) but he is also weaker than them. It also means that Terra is the only one of the three to have not yet obtained the title of Master despite appearing to be the oldest. That would make him really depressed if he found out! 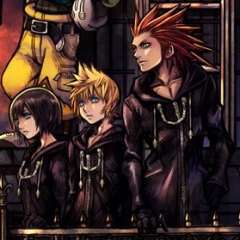 On a slightly different note, why do you think Ven was chosen by the Master of Masters for this role? He says so himself that he's not particularly good at anything and never in the top ranks. He doesn't really seem to be a natural leader either. My guess is that he was chosen for his strong resistance to darkness. Though I also wonder if it's because the Master of Masters knew what lay in his future? Please share your thoughts! What World in Birth By Sleep do you want to be reimagined in KH3? Deep Space or a Hawaii based Lilo and Stitch world please! Info | Sign ups KINGDOM HEARTS III: The Untold Story...(Interest Check, Sign-Ups and/or Discussions included.). An all brand new KINGDOM HEARTS Role-Play, this is KINGDOM HEARTS III: The Untold Story...the story that is told that leads up to the events of KINGDOM HEARTS III, separate to the story of both Sora and friends...in an unknown Realm, on an unknown World...there lives a boy, same age and similar to, though not quite, as Sora...his name is "Zola" and he lives in the universe known, as the "Parallel Realm", here, everything is reverse to the natural order that is Sora's universe, the Realm of Light...here, people and things take on different forms compared to their both Light and Dark counterparts and here...the Parallel Realm is under siege...from the threat of an invisible enemy...who lurks behind the shadows of creatures native to the Parallel Realm, known, as the "Faceless", beings that have no identities whatsoever, going, as far, as to wear masks that conceal what may very well be misshapen faces and figures, instead, the Faceless seek out those who have identities, namely, those with Hearts, they believe that if they can obtain the Hearts of others...will they obtain their very own identities for themselves and in the process, learn what it means to feel the emotions of a Heart and what exactly is a Heart, Zola...chosen wielder of the Keyblade of the Parallel Realm must now battle the Faceless alongside others, against both the Faceless and the invisible enemy that leads them, just, as Sora and his allies in the Realm of Light battle both Master Xehanort and his forces of evil...behold, this, is the untold story...of the Parallel Realm, the mirror Realm that coexists alongside the Realm of Light yet neither are aware of each other's existence...this is the story, of Zola...Sora's Parallel Realm counterpart. Theme Song: https://youtu.be/TKlVeBrZyDE. Rules: No Godmodding. No Romance above Age 12. No Swearing above Age 15. Please stay true to the Kingdom Hearts Timeline Events and Mythology, as this takes place alongside the Xehanort Saga but is parallel to it, meaning that no one in the Realm of Light is aware of the events here in the Parallel Realm and vice versa, this basically a Reboot of the original Kingdom Hearts video game more or less but still takes place alongside the original Kingdom Hearts games' story-lines, this is hopefully the 1st Kingdom Hearts Role-Play in what i like to call the "Blank Saga", in which we start everything afresh but still in keeping with the traditional main story-line of the Dark Seeker Saga. You can have up to 3 Characters per person each, you cannot request to portray, as Sora and the others for they will not appear in this Role-Play although subtle hints will be made, this is entirely a parallel universe setting where things are completely different, especially the Worlds, for example, the World of Beauty and the Beast set in the Parallel Realm is based on the 2017 live action film version, same goes for the Jungle Book which has yet to star in the actual games, all events relating to Disney based films and properties are based on their live action film counterparts so we will be seeing a unique story in where Maleficent is on the side of good, still searching for Kingdom Hearts but good nevertheless for example. Have fun! :]. Please put at the end of your Character Sheets "Different Story, Same World." to show that you read the Rules. Character Sheets: Name: Age: Personality: Appearance: History: Home-world: Weapon: Sub Weapon: Japanese Voice-over: English Voice-over: Theme Song: (The last three don't need to be filled in if you don't want to.). Character Sheets: Name: Zola. Age: 16. Personality: Same, as Sora's, his Realm of Light counterpart. Appearance: Same, as Sora's from Kingdom Hearts III but with white coloured hair and gold coloured eyes, also, the colour of the clothing is inverted and reversed, lastly wears a black coloured Kingdom Crown. History: A young man hailing from the World known, as the Fate Islands, it is from there that Zola begins his epic journey across the Worlds and discovers that they are in threat of being in danger at the hands of the Faceless and their currently unknown leader and master, Zola wields the Kingdom Key in battle and has already receiving training from Balthazar Blake, the Parallel Realm's version of Yen Sid. Home-world: Fate Islands. 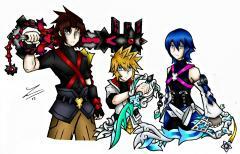 Weapon: Kingdom Key Keyblade. Sub Weapon: None. Japanese Voice-over: Miyu Irino. English Voice-over: Haley Joel Osment. Theme Song: "Different Story, Same World.". Character Sheets: Name: Sarcga. Age: 17. Personality: Same, as Riku's, his Realm of Light counterpart. Appearance: Same, as Riku's from Kingdom Hearts 3D: Dream Drop Distance but without the Spirit Dream Eater Emblem on the back and the clothing entirely coloured black, his long hair is also black coloured. History: Hailing from the Fate Islands, the same, as Zola, Sarcga wishes to become something more then he currently is and will do everything in his power to ensure that change will happen, like Zola also, he has received extensive combat training in wielding the Way to the Dawn Keyblade under Balthazar Blake. Home-world: Fate Islands. Weapon: Way to the Dawn Keyblade. Sub Weapon: None. Japanese Voice-over: Mamoru Miyano. English Voice-over: David Gallagher. Theme Song: "Different Story, Same World.". Character Sheets: Name: Sakura. Age: 16. Personality: Same, as Kairi's, her Realm of Light counterpart. Appearance: Wears a pink coloured Organization XIII coat and has long jade coloured hair. History: Like both her childhood friends Zola and Sarcga, she too is from the Fate Islands, however, unlike her two friends, she is kidnapped from her World in the story's beginning and is taken elsewhere, no one knows where exactly but not long afterwards, reports have been made across the Worlds about a girl with emerald coloured hair having been spotted where Faceless have been located at, wearing a pink hooded coat and wielding a Keyblade. Home-world: Fate Islands. Weapon: Destiny's Embrace Keyblade. Sub Weapon: None. Japanese Voice-over: Risa Uchida. English Voice-over: Alyson Stoner. Theme Song: "Different World, Same Story.". Character Sheets: Name: Demon Master: Gaienheim. Age: Unknown. Personality: Cool, Calm, Collected, Cruel, Cunning, Calculating, Strange, Sarcastic, Sadistic, Mysterious, Manipulative and Wise. Appearance: Resembles Demon Lord: Ghirahim from The Legend of Zelda: Skyward Sword but has black coloured hair, gold coloured eyes, wears black coloured clothing, a blue coloured cape and wields the Soul Eater. History: The invisible enemy that has been threatening the Worlds through his Faceless henchmen and other machinations that are of his ilk, Gaienheim is a devious master of the demonkind and orders over them without equal, he is currently searching for something that both he and Balthazar Blake call the "Heart of the Worlds" but to so far end, he has had not much success, other then discovering that to find the Heart of the Worlds, he must first find a special being called the "Heart Sharer", said to be able to transfer their Heart from one body to another's entirely, by finding this so called Heart Sharer, Gaienheim will be one step closer to obtain the Heart of the Worlds and thus lastly then reigning supreme over all of the Worlds themselves. Home-world: Unknown. Weapon: Soul Eater. Sub Weapon: None. Japanese Voice-over: Anri Katsu. English Voice-over: Jude Law. Theme Song: "Different Story, Same World.". In which character order(s) have you played through Birth By Sleep? Who is your favorite Mirage Arena boss? I haven't gotten through the entire area but Armor or Eraqus and No Heart sound awesome. Bae Queen Aqua. I do not own this but I have dibs on her. She's going to get finesse by me. © None SE and disney i guess. Honestly, if Aqua had done this, the worlds would be safe now.